Barvai is built on a mountain which stands separate from the linked ranges of Sahyadri, near Chiplun. Its references are found in a book named �Daspaticha Itihaas�, which was found in Pedhambe village. This fort is said to have been used as a watch tower. There are no remnants on the fort now. We can find the idol of Goddess Bhairi on the mountain top. A Veergal (stone sculptures carved out in the memory of warriors) is found on the western side on a hillock. Local people call it �Vetal�. There is a small cave beyond this, which is closed. On the northern part of the fort we can find 3 square shaped ditches, and some plinths of old houses. The further part becomes narrower. We have to cross a bridge after diversion to reach Pedhambe. After the bridge, to the left side is Khadpoli village. The path to the right of the Sukai Devi temple leads to Dhangarwadi, which is few kms away from here. 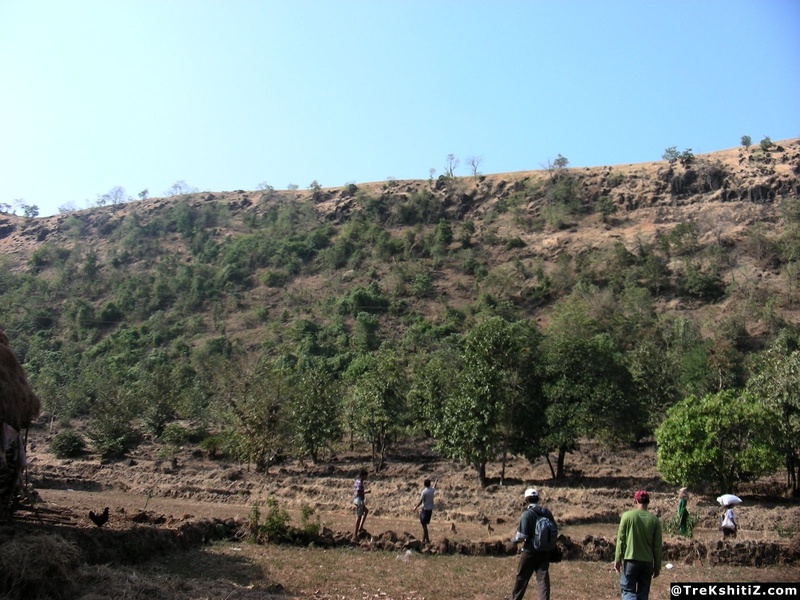 We have to reach Ugvatwadi in Pedhambe village, from where we have to ascend to Dhangarwadi, which takes around 2 hours to reach. One can stay in Sukai temple in Khadpoli or Ugvatwadi temple.